Abstract—In this paper, a new support vector machine, ESVM, with more emphasis on constraints is presented. The constraints are fuzzy inequalities. With this scheme, two problems are solved: training samples with some degree of uncertainty, and samples with tolerance. Also, the fuzzy SVM (FSVM) model is modified with emphasis constraints. The new model is called fuzzy ESVM (FESVM), in this paper. With this scheme we will able to consider importance degree for samples both in the cost function and constraints, simultaneously. Necessary experiments are performed and the results show the superiority of the proposed methods. ESVM and fuzzy ESVM are strongly recommended to the researchers who work on data sets with noisy or low degree of certainty samples. Index Terms—Certainty, emphatic constraints, support vector machine, fuzzy inequality, tolerance in data. Mostafa Sabzekar, M.S. Student in Computer Engineering, Ferdowsi University of Mashhad, Iran. (Phone: +98-511-6084482; e-mail: sabzekar@wali.um.ac.ir). Hadi Sadoghi Yazdi is with Computer Engineering Department, Ferdowsi University of Mashhad, Iran (e-mail: sadoghi@sttu.ac.ir).Mahmoud Naghibzadeh is with Computer Engineering Department, Ferdowsi University of Mashhad, Iran (e-mail: naghibzadeh@um.ac.ir). Sohrab Effati is with Applied Mathematics Department, Ferdowsi University of Mashhad, Iran (e-mail: s-effati@um.ac.ir). 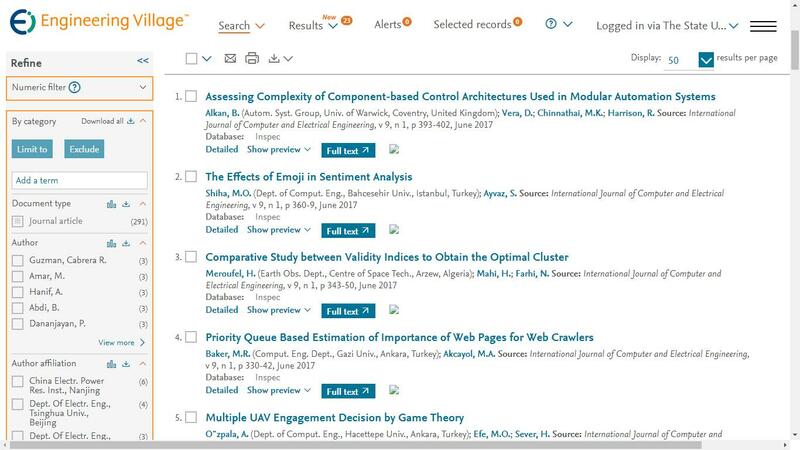 Cite: Mostafa Sabzekar, Hadi Sadoghi Yazdi, Mahmoud Naghibzadeh and Sohrab Effati, "Emphatic Constraints Support Vector Machine," International Journal of Computer and Electrical Engineering vol. 2, no. 2, pp. 296-306, 2010.